The tools and resources available on Ancestry.com have brought family history and genealogy research directly to the fingertips of anyone with a computer and $40 a month to spare. Fascinating discoveries are literally only clicks away. That being said, it never hurts to have an experienced researcher like Jim on your payroll to navigate the myriad of possible matches and probable connections you encounter in your search. Let’s continue the Clancy family’s journey to America by taking a closer look at Catherine, the first (known) Clancy sibling to emigrate. Margaret told us that Catherine (Kate) was born in Moylough, County Galway in 1878. Since she did not appear on either the 1901 or the 1911 Irish Census, Jim was confident in his identification of the Catherine Clancy who set sail from Queensland (Cobh) April 4, 1900, on board the S.S. Teutonic. The journey took fifteen days, and Catherine arrived at New York City harbor on the 19th of April, 1900. This would have been an exciting time to arrive in the US – amidst the optimistic swirl of the Spring of a new century. With the 1920 US Census, Catherine was married to John J. Coogan from Kilkerrin, County Galway. The young couple was living in Brooklyn, New York with two small boys (John and Joseph.) 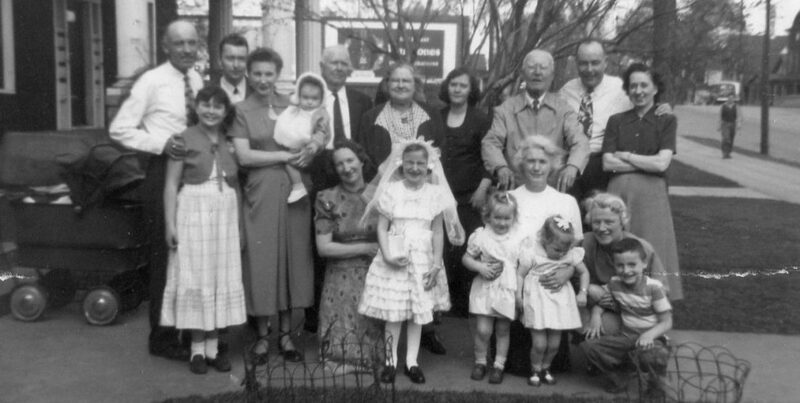 By the 1930 US Census, the Coogan family had moved about eighty miles from Brooklyn to Wawayanda, New York. A third son Francis joined the family in 1922. There were some interesting items included in the collection of Immigration and Travel records. On March 25, 1921 Catherine and her two sons returned home to New York after a holiday in Ireland. Late in 1920, John had applied for a passport indicating travel with his wife and two sons to Ireland for three months, leaving in August – perhaps the trip was postponed or the return delayed. The U.S. Passport Applications on Ancestry.com are intriguing and could be a gold mine of information for the family history researcher. John Coogan’s passport application gives us not only his birth date and place, but those of his wife and children, as well as the date he was naturalized as an US citizen, where he had lived in the US, his occupation, and his current residence. The dates and destination of planned travel are also given. These applications can be a one-stop source for genealogical information. Plus, some of the passport applications even include a photograph! One of Margaret’s memories was of saying the Trimmings after the evening Rosary and the “boys in the war” were always included in these prayers. Margaret believed the Coogan boys fought in the Korean War. Well, Jim discovered that the three Coogan boys were indeed “boys in the war”, but the war was World War II, which may have been before Margaret’s time. Perhaps there were more American relatives from Moylough who fought during the Korean War? We located a few descendants of Catherine (Clancy) and John Coogan, and I forwarded that information on to Margaret. Maybe she will connect with some American cousins…I will keep you posted as to what I hear from her. Next time we will wrap up the Clancy family saga with the stories of Nora and Molly. Categories: Emigrants, Where they went | Tags: America, Clancy, Coogan, Galway, Kilkerrin, Moylough, New York | Permalink.